Shangri-la really does exist! For living proof all you need to do is visit the 5-star Adler Thermae Spa & Relax Resort, a leading wellness hotel found off-the-well-trod-roads of Tuscany. It is perched next to a heavenly little hamlet, Bagno Vignoni, population 35. My “bestie”, Joan, and I had just completed a marvelous one-week Tuscan trekking trip with Hedonistic Hiking, so a luxury stay in an exclusive spa-hotel offering quality “us-time” was the most idyllic follow-up imaginable. We figured if the early Etruscans and aristocratic Romans stopped to take the waters at the famous bath in Bagno Vignoni (other prestigious visitors included Lorenzo the Magnificent and Pope Pius II) then it should work out nicely for us. And it did. Our typical day started after a perfect night’s sleep, slipping on the fluffy, white robe and slippers (often our attire of choice for the whole day) then heading out to our private balcony which overlooked brilliant green hills artistically finished with red and amber colored trees, gnarled vineyards, and shimmering olive groves. As we sipped our freshly brewed coffee, we looked over the daily activity calendar, checking off any interesting hikes, bike rides, or exercise classes that would fit around our pre-booked spa treatments before heading down for a wonderful buffet brekkie. 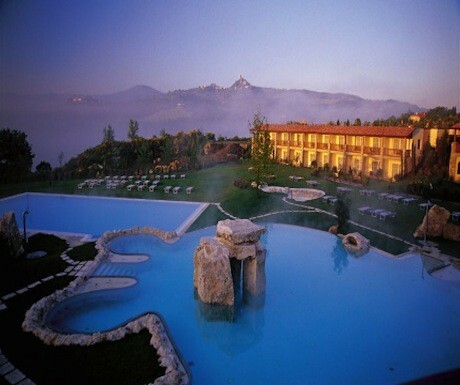 The Adler Thermae is part of a small luxury hotel chain that originated in the Italian Alps. 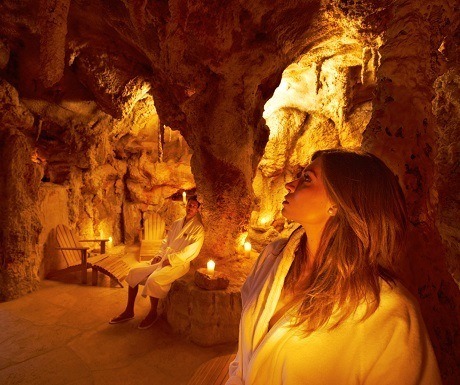 It is owned by the spa- loving, Sanoner family who claim seven generations of experience in the hotel industry. Although the ten-year-old, Mediterranean- inspired hotel has 90 rooms, it feels more like you’re just rambling around a friend’s luxe yet unpretentious villa, with its soothing cream-colored limestone walls, high ceilings, striking arches and fabulous fresh floral arrangements. The bright (floor-to-ceiling sliding doors) stylish suites are all similar, with comfy beds, cozy sitting area, a roomy bathroom with separate shower and a deep soaking bath, satellite TV, a mini-bar, a telephone, a hair dryer, plentiful closet space, and free Wi-Fi. You only have to decide if you prefer a private balcony or a terrace for taking in the panoramic views. Inside tip: Kudos for the generous full-sized, bathroom spa amenities, so no need to schlep hair and bath products from home! As pretty as the hotel is, the secret ingredient here is in the water, namely the hotel’s two pools that are fed straight from the healing, thermal spring waters of Bagno Vignoni. Joan and I spent the whole first day “treatment-surfing” to sooth our aching scrunched muscles from our endless flight. We started with a looooong soak in the thermal pool that has various temperatures, jets and waterfalls. Then we hopped back and forth between the Steam Sauna filled with Tuscan herbs and the Etruscan Sauna with salt steam that worked wonders on our clogged nasal passages. We saved our deep discussions for “The Cave of the Philosopher”, a steamy grotto filled with dramatic stalactites and stalagmites, followed by a stint in an authentic olive-wood Finnish sauna on the lake, where the ice-cubes were infused with scented essential oils, leaving us in a state of womb-like relaxation. Inside Tip: If we went our own ways during the day we’d always reconnect for a quality afternoon nap in the upstairs quiet room, filled with the world’s most comfy waters beds. To achieve a complete Nirvana-ish state of calmness we needed some serious exploration of their treatment menu, which listed an enticing selection of facials, body treatments, and massages utilizing the Adler Spa “Tuscany” line of organic skincare products. You could go local, with a grape goodness package combining the “Brunello Ritual” (a decadent wine bath and regenerating grape seed oil massage) followed by an innovative, anti-aging facial using the stem-cell extract of the grape or internationally popular treatments like a holistic Haki or Ayurveda treatments, or Criolipolysis sessions for fat loss. The expansive spa boasts 21 treatment rooms and a dedicated team of impeccably trained therapists. Inside Tip: Don’t procrastinate. If you book your spa program before your arrival not only do you get first dibs on popular time slots but they also offer a generous early-bird price discount. Sign up for anything offered by my fave therapist, Diana, who will leave you purring. Should you tire of doing absolutely nothing (other than relaxing in complete style) the Adler offers a slew of both in and outdoor activities. There is a fully equipped, state-of-the-art gym with daily exercise classes including yoga in thermal water, TRX suspension training, water spinning classes, Pilates, etc. As tempting as these were, the weather was great so I took advantage of their unique hiking program. These fun, energetic hikes offer the perfect way to explore the beauty of the surrounding UNESCO Site. Many hikes integrated the local food scene, such as a wonderfully informative trek to one of the few remaining saffron producers in San Quirico, complete with a scrumptious three-course saffron lunch in the old farmhouse or the hike to the Adler’s new winery, Tenuta Sanoner, to enjoy the hypnotic views of Val d’Orcia while tasting outstanding Aetos wines. Cooking classes, featuring Tuscan peasant food, are held in the winery’s showcase kitchen. If you’d rather explore on wheels, the hotel offers free rental of mountain bikes and e-bikes, or runners can use the 13.5km-jogging trail. Inside Tip: Their creative walking program is well worth a trip by itself. I wish I had checked the dates beforehand since I was heartbroken that I missed the walking tour in Crete Senesi that included a truffle hunt and lunch with white truffles! If you’d rather explore on two wheels, the hotel offers free rental of mountain bikes and e-bikes, or runners can use the 13.5km-jogging trail. The half-board rate includes a breakfast buffet, afternoon snack and a 4-5-course gourmet dinner highlighting the local produce and herbs plucked from the hotel’s garden. Meals are served in a delightful atrium restaurant with a retractable glass ceiling that highlights the starry night sky. The humongous buffet breakfast offers many healthy options (think fresh fruit, granola, yogurt and a DIY juice bar) as well a variety of salumi, cheese, cured fish, and made-to-order omelets and crepe stations. Don’t skip the array of homemade bread paired with local fruit jams. 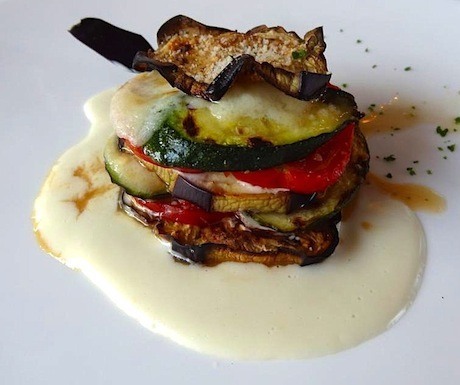 The dinner menu has an ambitious Tuscan-Mediterranean streak. Expect to see pasta with tuna belly and mussels, a Panzanella salad with rabbit and pistachios, as well as Scottiglia, a hearty Tuscan stew made with rabbit and deer. Healthier and veggie options are also available. 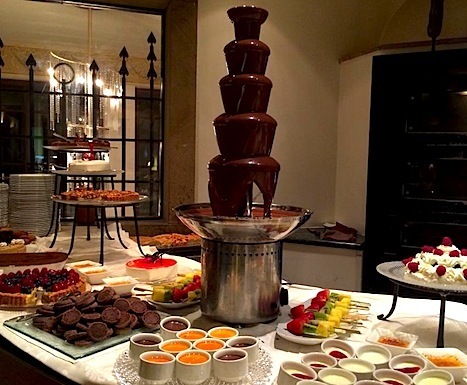 Dinners begin with a trip to what may be the definitive salad bar and end with a dessert extravaganza including tiers of tarts, crème brûlée, fruit tortes, cheese boards, gelato etc. 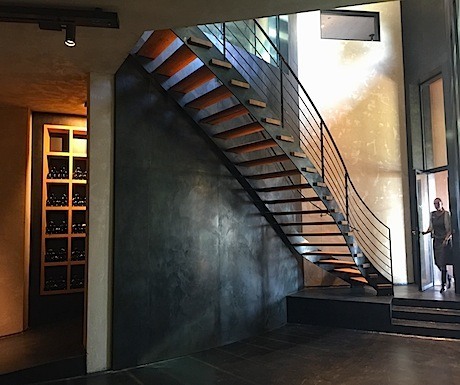 Of course, they have a fabulous wine list with the finest Tuscan wines including a $1,000 bottle of Brunello di Montalcino. 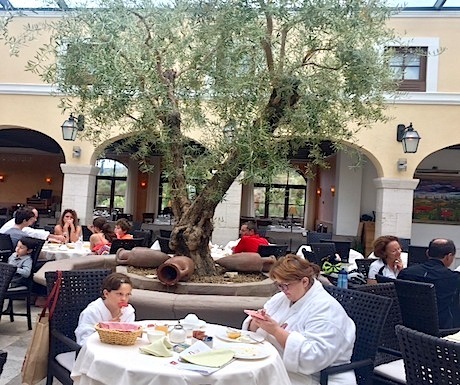 Inside Tip: A buffet lunch is available for an additional charge but we preferred to take the ten-minute walk to the teeny village of Bagno Vignoni, whose “main square” is actually a pool of steaming hot mineral water with about ten trattorias clustered around it. 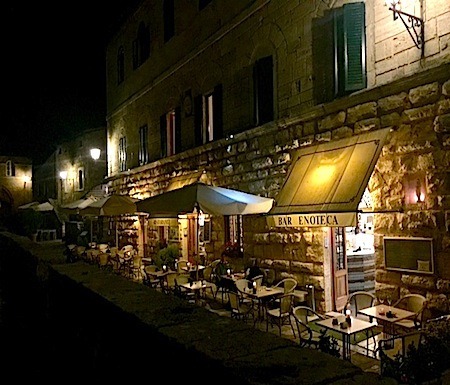 We thoroughly enjoyed our simple meal of unsalted Tuscan bread, new olive oil, polenta laden with melted cheese and truffle oil at Il Loggiato as well as the homemade pasta and pizza at Ristorante La Parata. Final note: If you’re still on the fence, I just ran a quick price comparison between a seven-night stay here (all-inclusive rates start at only $1,395 per person) vs. a similar spa getaway in the U.S., which can easily cost $8,000/week. So even with airfare, you’re way ahead of the game, plus you’ll be chillin’ in Tuscany! Sounds incredible and the price is certainly appealing! I wish Janice could be our guide–she discovers all of these hidden gems that no one else mentions! Not only does she uncover theses places, but she then gives you a shopping list of things you can do there and what she recommends based on her stay. Thanks for sharing the scoop with us! Sounds great! Wish we could take Janice along as our guide, cause she always ferrets out the best places that are off the beaten track, and then tells you the best things to do there. This place sounds fantastic, and the price seems very reasonable for what you are getting. Thanks for sharing your experiences there, and keep ’em coming! 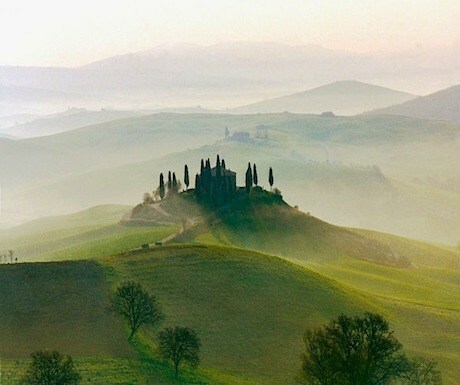 I love Tuscany and am planning a return trip next year. I am so happy i read this because i had no idea I could stay in a 5 star hotel/ spa resort for less than half of the states resorts which usually run about $8,000 a week! I’m definately including this in my itinerary – thanks!